We all want a high credit score, because it makes borrowing less expensive, and a high score proves that I am financially responsible and successful person. 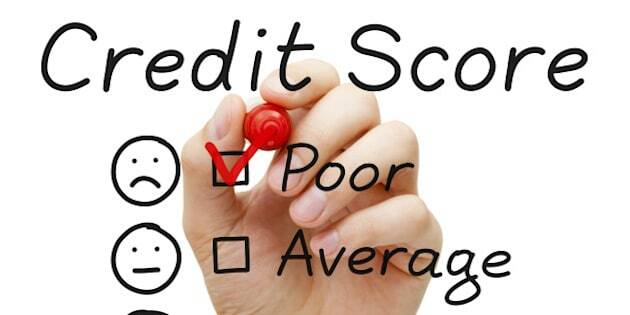 Here's the sad truth: a high credit score does not prove you are financially savvy. In fact, I've worked with many clients with a high credit score who had to declare bankruptcy. What a high credit score does do is demonstrate to the bank is that you will be a profitable customer. Your payment history is the most important factor in your credit score. You will have a higher score if you make all required payments on time. It's possible, if you make your minimum payment on time each month, to see an increase in your credit score. The credit system rewards people who carry a balance, so your credit score can be higher by paying less than the full amount owing on your credit cards than if you pay them off in full each month. Think about that for a minute: making less than the full payment increases the length of time your loan will be outstanding, and that maximizes the interest you will pay, and that maximizes the bank's profits. That's a classic example of why our credit reporting system is broken: in some cases by paying more in interest you can increase your credit score. Here's another bad strategy that will increase your credit score: have multiple sources of credit. All else being equal, someone with a mortgage, car loan, line of credit and three credit cards will have a better credit score than someone with only one credit card. Is more debt in your best interest? I think not. A final example: The credit scoring system wants you to only use a portion of your available limit. It will hurt your score if you are always at 100 per cent of your credit card limit; 30 per cent is better. That may appear reasonable, but in reality all it does is encourage you to request higher limits on all of your credit cards and lines of credit. Here's my advice: don't over-borrow just to get a high credit score. Do what's best for you, not the bank. If you only need one credit card, only have one. Don't get four credit cards just to raise your credit score, because access to excessive credit may not be in your best interests. Don't just pay the minimum each month; pay in full and save on interest costs, regardless of how that may impact your credit score. Don't fall into the trap of letting a computerized credit score govern your financial decisions. You are the boss, so always do what's right for you, not the bank.